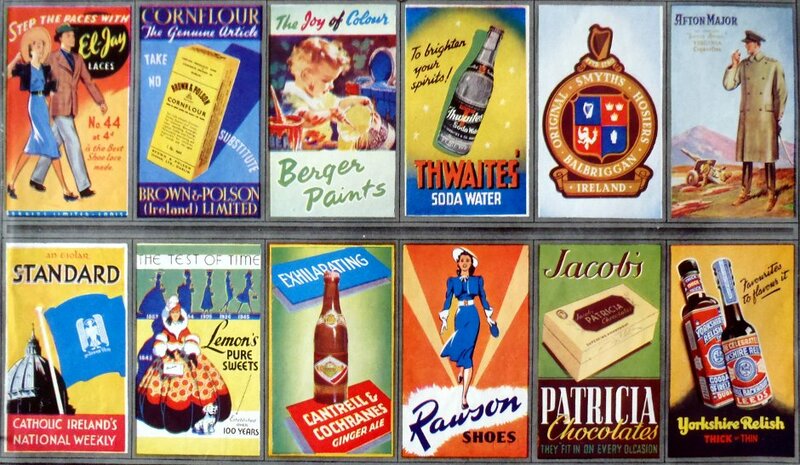 In 1935 Waddington's obtained a financial interest in Dublin by making a part acquisition of the Ormond Printing Company so that they could produced playing cards and cartons in Ireland. 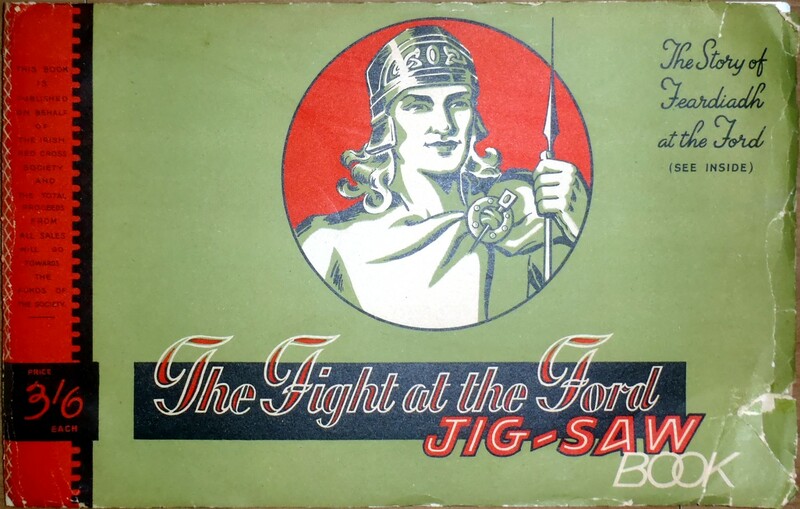 However, the Ormond Printing Company Ltd continued working under its own name and amongst other things printed the Jig-Saw Book shown here. 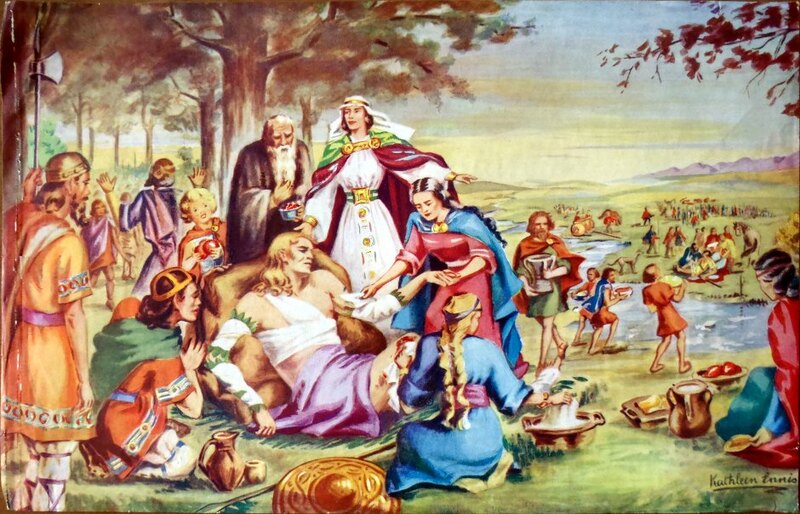 The story inside the book is titled “The Story of Feardiadh at the Ford.” It was published sometime around the time of WW2 and sponsored by the Irish Red Cross. The story is taken from an Irish Saga; perhaps the theme of the “Battle of Feardiadh” would arouse Irish National sentiment and chivalry at a time of uncertainty? 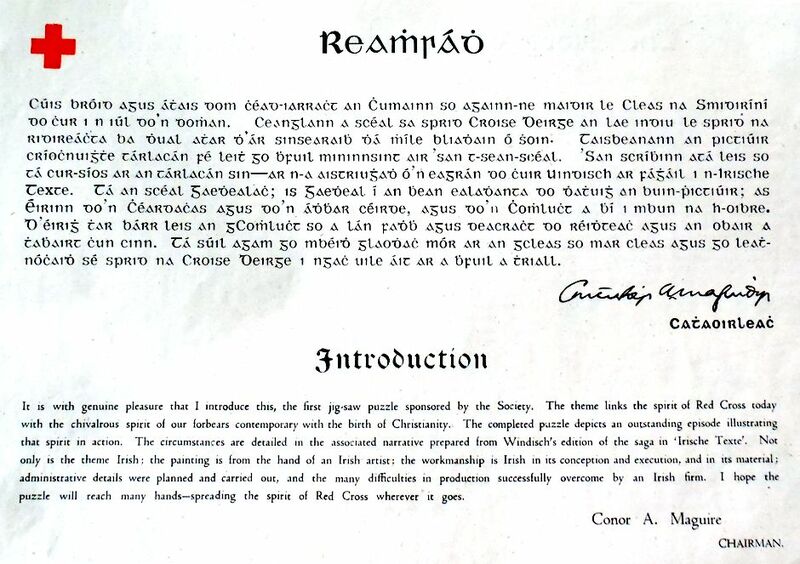 Above: Conor A. Maguire (1889-1971) was chairman of the Irish Red Cross between 1939-1946. In his introduction he mentions that the painting (shown below) is “from the hand of an Irish artist”. Above: the painting on the jig-saw is signed by Kathleen Ennis. It is feasible that Kathleen Ennis was born in c.1922 and was a student from the Metropolitan School of Art in Dublin around the time this painting was produced.